The growing demand for specialty almost designer like eggs has caused a dramatic shift in the market where egg classification has just gotten so ridiculous to the point where it can be confusing. There are organic eggs, vegetarian feed eggs, free range, hormone-free, etc. Getting eggs from the supermarket used to be easy, the only thing you had to worry about was checking the carton for damaged eggs before you just scooped one up and were on your way out the door. Now thanks to the great world of marketing these labels can be very confusing. 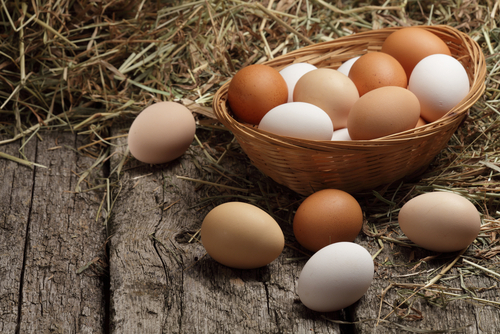 The gold standard in most cases when it comes to eggs are the organic variety. This is because the United States Department of Agriculture or USDA set a certain criteria that these eggs must meet in order for them to be sold. Organic eggs must first come from a chicken that has been given no antibiotics or growth hormones of the entire period of its life. On top of that, the food that these animals eat must be certified as organic as well, otherwise the entire label itself is compromised. Even if a chicken was never given antibiotics or growth hormone, if it is fed non-organic food it is no longer considered to be organic. This ensures that the organic standard is upheld and met using only organic growing methods. All organic chicken are also considered to be free range as well, because it is required that they have access to the outdoors. Pasteurized implies that the animal spends most of its time raised outdoors than raised inside. The problem with this is that there is a lot of variation as far as what this term really means, and it is not regulated. As long as the birds are let outside on occasion, they can be considered to be pastured. TO what extent they are let outside, well that is up to the farmer so it varies greatly. Truly pastured eggs are considered to be some of the best because the animal is allowed to roam freely not only eating its grain based vegetarian diet but also picking up protein like worms along the way which ensures that it gets all the vitamins and minerals it needs to stay healthy. Are Vegetarian Fed Eggs Healthy to Eat? Vegetarian fed eggs sounds really healthy, and it is no wonder why companies keep using this term to draw in consumers. The name originally came about because of health concerns involving farmers feeding their chicken left over animal bi products like organ meats. When the public became aware of this, there was an outcry and many farmers who wanted to still stay in business switched over to vegetarian based feeds for their chickens. This sounds like a happy ending however the problem is that chicken are not herbivores, they need to eat meat as well. Besides eating grain like corn and soy, chicken also need to eat meat because their a vegetarian diet doesn’t contain all of the amino acids they need to function properly. Chicken eat protein like worms, seeds and bugs to get these essential amino acids and a deficiency in one particular amino acid called methoinine has been thought to provoke violent fights between the birds themselves. 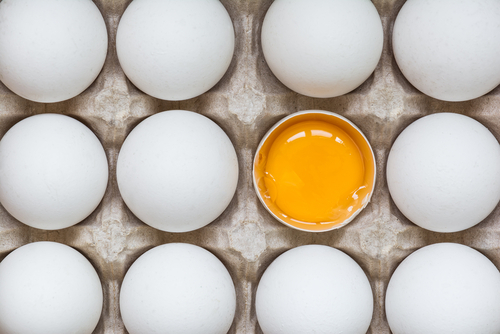 When it comes to choosing the best egg for your health, you are best off trying to ignore all of those meaningless buzzwords. Focus on buying pasteurized, free range, organic eggs. These eggs are the most healthy version you can buy, packed with all of those good vitamins, minerals and protein. Chickens that produce organic eggs eat an omnivorous diet which consists of organic gain and plenty of good protein, which ensures that you get the highest quality product. Studies have shown that chickens who eat in pastures produce more nutrients like double the amount of Vitamin E and omega 3 fatty acids for example when compared to a conventionally grown egg. The only nutrient they didn’t produce more of compared to the conventionally grown eggs which was cholesterol. So basically you want to look for pastured organic eggs, followed by organic, free range and cage free in that order when looking for the best egg you can buy. Next ArticleHow Salt Can Affect Your Hunger Cravings-Can Reducing Your Consumption Kill Cravings?